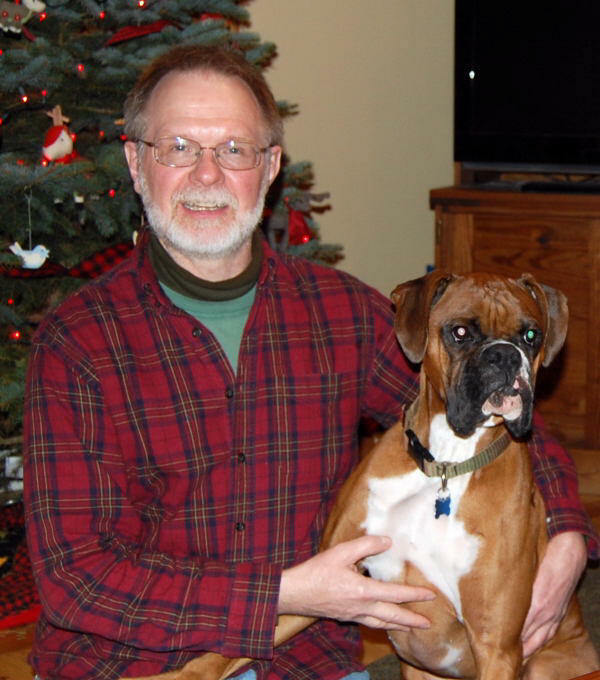 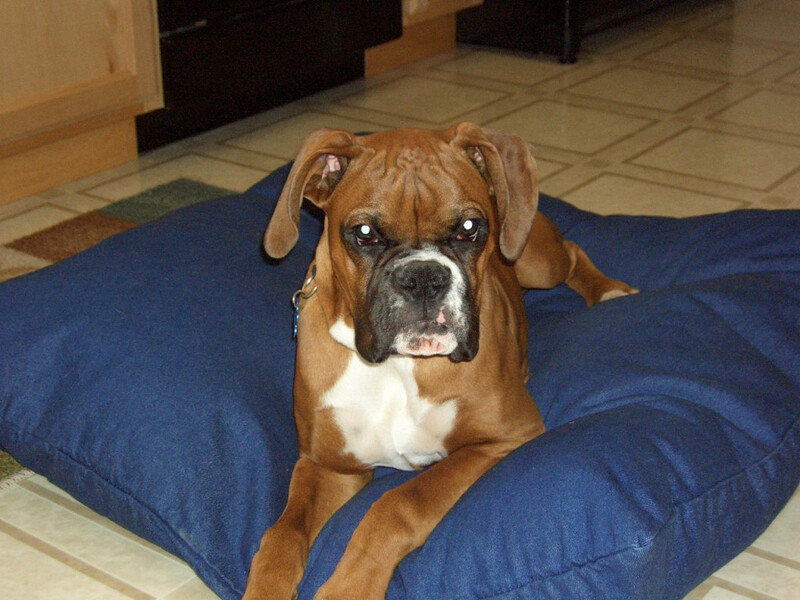 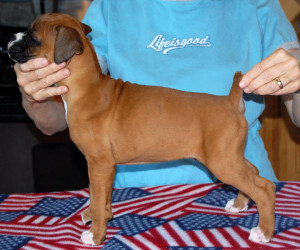 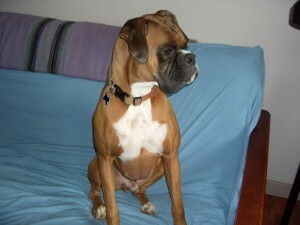 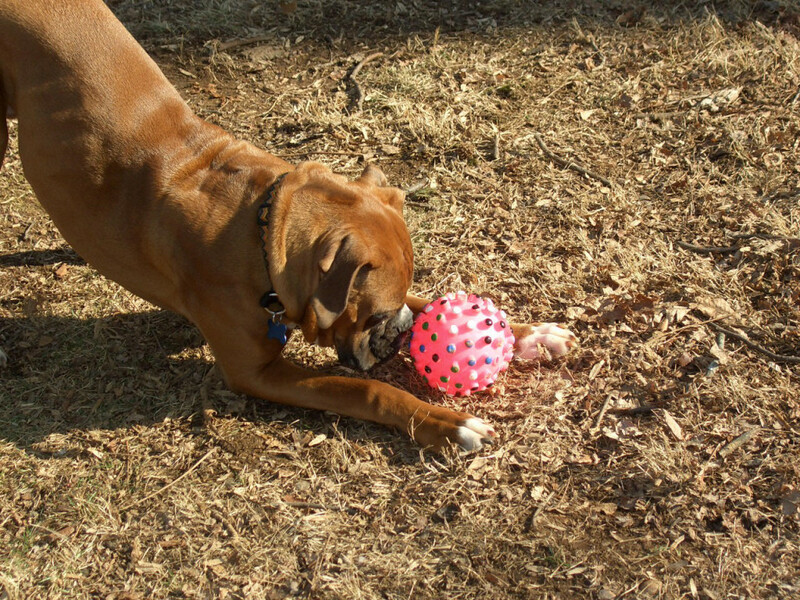 Handsome Boxer Boy who had a…..
Noah began life on June 12th 2008. 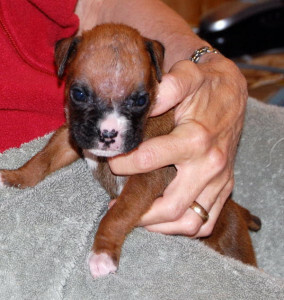 Although he was a bit smaller than his littermates, we weren’t concerned as he seemed healthy and active. 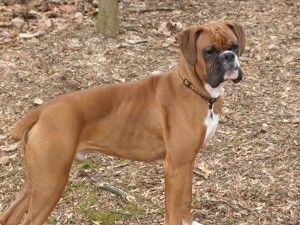 However… he began to lose weight as his brothers all grew bigger and were more active. 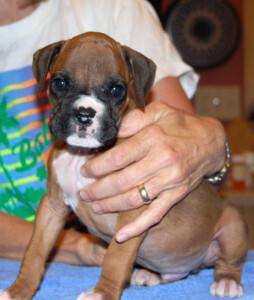 At one point he was only 1/3rd the size of the others. 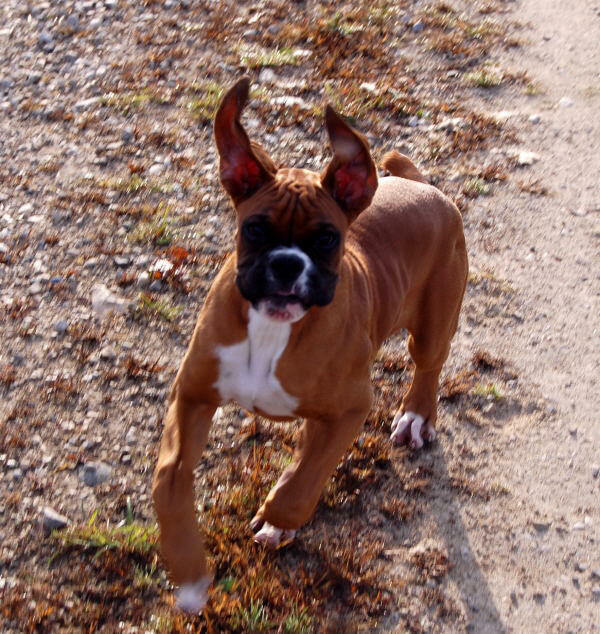 Through God’s blessing and Donna’s perseverance, he hung on until he could handle solid food and then he started to catch up. 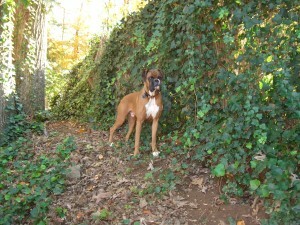 Today Noah weighs 62 lbs at 9 months of age and has a wonderful home in Knoxville TN with Donna’s brother Ron. 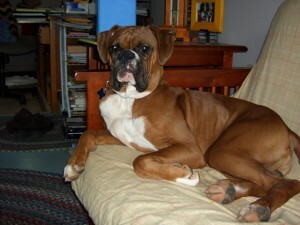 As you can see, he made himself quite at home, where all boxers should be!